Chelsea manager, Antonio Conte has reportedly spoken with Leicester’s Riyad Mahrez about a possible move to Stamford Bridge. Renowned Italian journalist, Emanuele Giulianelli made the disclosure on Tuesday. He said that Chelsea have offered £46million for Mahrez and could seal the deal before Thursday’s deadline. The Blues signed N’Golo Kante from the Foxes last season. They are close to wrapping up a deal for fellow midfielder, Danny Drinkwater. 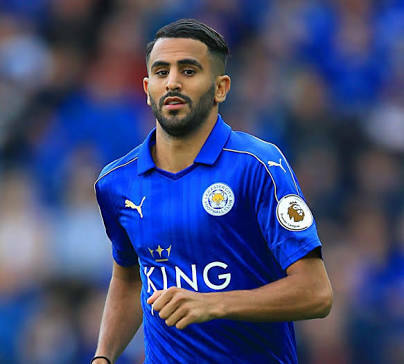 Leicester City manager, Craig Shakespeare, recently reaffirmed Mahrez wants to play for a top-six side. He quickly added that Leicester had not received any bids from England’s biggest clubs. “He wants to play for a top-six club. If we don’t get an offer, he stays,”,Shakespeare said.